dandis getting all dressed up for you! 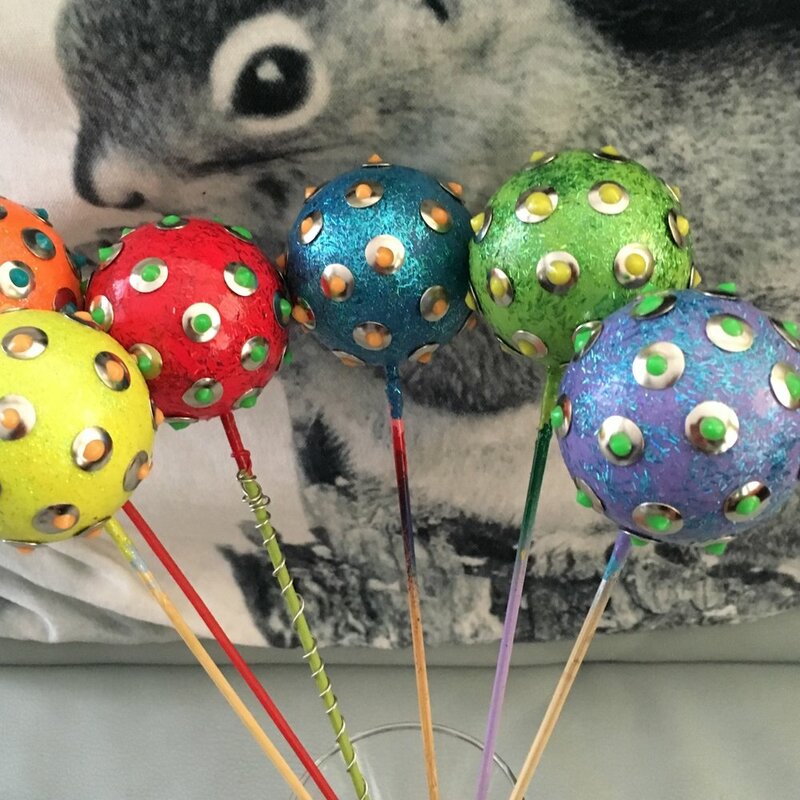 two inch core dandi's have been sanded, painted, and glitzed up with glitter, thumb tacks and glow-in-the-dark paint! They are sealed and getting ready to grow up into 4.5" full flowers! recipe... just add over 100 t-pins and a chopstick stem!